The sabotage DLC comes with the now standard format we are all used to, that being four new maps with a new zombie experience slapped in for good measure. The four maps are Dominion which is a Re-imagining (hate that word) of the Afghan map from Modern Warfare 2. Neon which is a virtual training centre designed for urban warfare. Noir, a futuristic Brooklyn set at night. And wrapping things up is Renaissance, a modern version of Venice. The zombie DLC experience once again sees movie maker Willard Wyler transporting the four characters seen previously to a new 1990's woodland Summer camp setting with a mode called Rave in the Redwoods. The characters all get a new look, but the same idea of killing zombies, earning cash, finding easter eggs, and general surviving is still the main goal here, but then again the first zombie experience was one of the highlights of the game so why would you mess with it. Starting with my experience with all four maps, I'd have to say I've enjoyed them all for different reasons, yes, even the re-imagined map that I tend to get annoyed with. Dominion does at least give the map a whole new feel, with me taking a few minutes to realise what map it was when playing it for the first time. If you played the map first time around you will know all the main key areas that gunfights will take place in, with the high vantage point of the map being the sniper spot, and also a room found around the middle of the map being a place where people love to camp if they can. The rest of the map really suits the run and gunner who sprints around the outskirts mopping up kills and taking down distracted snipers to add kills and points on their team. Neon was one of those maps that took a few games to get used to. But once again, after a few matches you kind of realise where the main portion of play will take place with the map playing very much like the Dominion map I just spoke about.The outskirts are there once again for the run and gunner players like myself out there, but once again the map does have clear paths that will allow a sniper a guy to take you out if you make your strategy obvious to them. The middle of the map throws up a mixed bag too, with close combat being something that will happen, and also people able to view one end of the street to the other with a sniper and sections off to each side making it almost a gauntlet to stay alive if you dare to risk using that path. Noir was a map that neither did anything special or did a bad job of adding in more maps for the regular player, but to gush about it would be me typing a pack of lies. In terms of looks, you can see in the image below that it perhaps has one of the better landscapes in the whole DLC. With the city skyline and a thunderstorm taking place in the distance looking really nice. In terms of the map we once again hit that three-lane play almost, with the outskirts of the map seeing most of the action, but a small middle section in the middle having a couple of high-level level windows each side for those campers out there looking for people running around the map. The level also has a few rooms like a club and things scattered around, but like I said at the start it wasn't really a map that blew me away. Not terrible either, just not fantastic. Then we have Renaissance, the smallest map of all four that makes for fast matches and close combat gun fights, as opponents can be on top of you within seconds. Set in Italy, it has a look of an Assassin's Creed style level, with big buildings, rivers, and a church all found here. With the map being on the small side I did come across moments of spawn killing in the few games I played on this, with gamers either camping inside the small church close to one spawn being the place it mostly took place. Getting out the spawn on the church side, the left-hand side has good enough cover with the church garden wall, but is followed quickly by a narrow walkway which can make opponents seemingly come out of nowhere. The right-hand side is a little more open, but has enough cover so that you can make your way across the map. The church itself has four ways of entering, two small doors on each side, plus a front door close to one spawn, and a broken window to boost jump into on the other. Summing things up then, a decent map. Great if you fancy a quick close combat match if you're a TDM guy like myself. Zombies in Spaceland was without a doubt one of the better things that many had nothing but good words to say about when playing IW at launch. I was one of those people too, with the game having a great look and also just being lots of fun to play, even if I am a total novice when it comes to this mode. Rave In The Redwoods keeps this trend going by offering more of the same but in a different setting and new enemies and things to find out. I don't claim to be one of those guys who beats everything that this mode has to offer, as I never do. I type this up having the sad number of wave 15 being my high point in playing this mode, but each time I play it's fun, even dying and going to the Afterlife arcade and playing classics like Keystone Kapers (sort of made me want to keep dying) is something I enjoyed. Rave in the Redwoods offers something for all shooter fans. You have something for the guy/girl who wants to dig deep and find easter eggs and play out the story, unlocking new things. Then the average guy like me can go in just to shoot some zombies and go out and watch these pros on YouTube do their thing and try their best to do it for themselves. Totally worth giving a look if you enjoyed the previous Zombies In Spaceland. 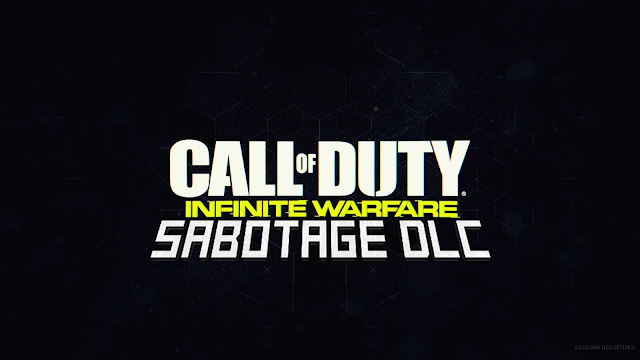 Overall: Loading up this DLC has got me back to playing Infinite Warfare again, and in the long run that can only be a good thing. After the long break from the game, I just found myself having fun with the new maps and Rave in the Redwoods, with the zombie portion for me once again being the highlight. I don't claim to be a zombie expert in these games, but if something offers me enjoyment I'm all for it. All four maps offer something different too, with each one being fun to play and learn.